Thumbs on the button. Got a smartphone? Enter the cool world of gaming on the go! These days, there’s no need to choose between your gaming obsession and getting out and about. Wherever you go, smart mobile devices put the best games at your fingertips. Now the team behind Game On! 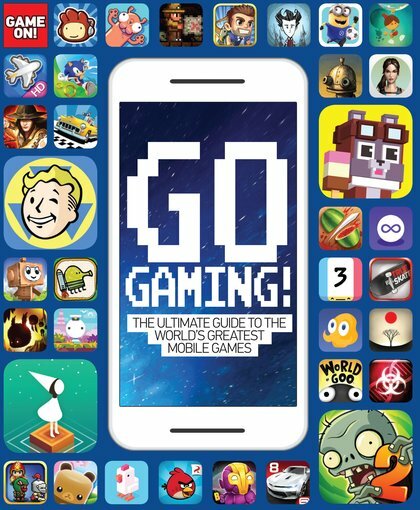 helps you find the ultimate mobile games in a handbook full of tips and reviews. Which games are worthy of your time? How can you dominate the trickiest games? What developer secrets would you most like to eavesdrop on? From the multiplayer mayhem of Hearthstone to the single-player wizardry of FTL: Faster Than Light, it’s all in here! The best mobile games – and how to win at them! Expert insights from the team behind Game On!